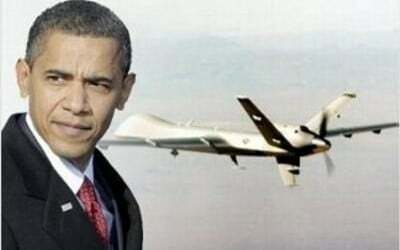 Since becoming president in 2009, Barack Obama has significantly extended the use of drones in the War on Terror. Operating outside declared battlefields, such as Afghanistan and Iraq, this air war has been largely fought in Pakistan and Yemen. The White House’s announcement today is long-awaited. It comes three years after the White House first said it planned to publish casualty figures, and four months after President Obama’s chief counter-terrorism adviser, Lisa Monaco, said the data would be released. The figures released do not include civilians killed in drones strikes that happened under George W Bush, who instigated the use of counter-terrorism strikes outside declared war zones and in 58 strikes killed 174 reported civilians. Today’s announcement is intended to shed light on the US’s controversial targeted killing programme, in which it has used drones to run an arms-length war against al Qaeda and Islamic State. The US Government also committed to continued transparency saying it will provide an annual summary of information about the number of strikes against terrorist targets outside areas of active hostilities as well as the range of combatants and non-combatants killed. But the US has not released a year-by-year breakdown of strikes nor provided any detail on particularly controversial strikes which immediately sparked criticism from civil liberty groups. The gap between US figures and other estimates, including the Bureau’s data, also raised concerns. Jennifer Gibson, staff attorney at Reprieve said: “For three years now, President Obama has been promising to shed light on the CIA’s covert drone programme. Today, he had a golden opportunity to do just that. Instead, he chose to do the opposite. He published numbers that are hundreds lower than even the lowest estimates by independent organisations. The only thing those numbers tell us is that this Administration simply doesn’t know who it has killed. Back in 2011, it claimed to have killed “only 60” civilians. Does it really expect us to believe that it has killed only 4 more civilians since then, despite taking hundreds more strikes? Bibi Mamana was a grandmother and midwife living in the the tribal region of North Waziristan on Pakistan’s border with Afghanistan. On October 24 2012, she was preparing for the Muslim festival of Eid. She used to say that the joy of Eid was the excitement it brought to children. Her eight-year-old granddaughter Nabeela was reported to be in a field with her as she gathered vegetables when a drone killed Mamana. “I saw the first two missiles coming through the air,” Nabeela later told The Times. “They were following each other with fire at the back. When they hit the ground, there was a loud noise. After that I don’t remember anything.” Nabeela was injured by flying shrapnel. At the sound of the explosion, Mamana’s 18-year-old grandson Kaleem ran from the house to help. But a few minutes later the drones struck again, he told the BBC. He was knocked unconscious. His leg was badly broken and damaged by shrapnel, and needed surgery. Atiq, one of Mamana’s sons, was in the mosque as Manama gathered vegetables. On hearing the blast and seeing the plume of smoke he rushed to the scene. When he arrived he could not see any sign of his mother. Atiq’s brother Rafiq told Al Jazeera English he received a letter after the strike from a Pakistani official that said the attack was a US drone strike and that Mamana was innocent. But nothing more came of it, he said. The following year Rafiq, a teacher, travelled to the US to speak to Congress about the strike. The administration has called its drone programme a precise, effective form of warfare that targets terrorists and rarely hits civilians. In June 2011 Obama’s then counter terrorism chief, now CIA director, John Brennan made a similar statement. He also declared drones strikes were “exceptionally precise and surgical” and had not killed a single civilian since August 2010. A Bureau investigation in July 2011demonstrated this claim was untrue. Most of the Bureau’s data sources are media reports by local and international news outlets, including Reuters, Associated Press and The New York Times. The US Government suggests it has a much clearer view of post-strike situations than such reporting, suggesting this is the reason why there is such a gap between the numbers that have been recorded by the Bureau, and similar organisations, and those released today. But the Bureau has also gathered essential information from its own field investigations. The tribal areas have long been considered a difficult if not impossible area for journalists to access. However, occasionally reporters have been able to gain access to the site of the strikes to interview survivors, witnesses and relatives of people killed in drone strikes. The Bureau conducted a field investigation through the end of 2011 into 2012, in partnership with The Sunday Times. Through extensive interviews with local villagers, the Bureau found 12 strikes killed 57 civilians. The Associated Press also sent reporters into the Fata, reporting its findings in February 2012. It found 56 civilians and 138 militants were killed in 10 strikes. Access to affected areas is a challenge in Yemen too. But in December 2009 a deputation of Yemeni parliamentarians sent to the scene of a strike discovered the burnt remnants of a camp, which had been set up by several families from one of Yemen’s poorest tribes. A subsequent investigation by journalist Jeremy Scahill revealed a deception that hid US responsibility for the deaths of 41 civilians at the camp – half of them children, five of them pregnant women. The reality on the ground flew in the face of the US governments understanding of events. A leaked US diplomatic record of a meeting in Sana’a, the capital of Yemen, between General David Petraeus and the Yemeni president revealed the US government was ignorant of the civilian death toll. Salem Ahmed bin Ali Jaber, a 40-year-old father of seven, was exactly the kind of man the US needed in Yemen. A widely respected cleric in rural Yemen, he delivered sermons in his village mosque denouncing al-Qaida. He gave just such a speech in August 2012 and earned the attention of the terrorist group. Three anonymous fighters arrived in his village two days later, after dark, calling for Jaber to come out and talk. He went to meet them, taking his policeman cousin, Walid Abdullah bin Ali Jaber, with him for protection. The five men stood arguing in the night air when Hellfire missiles tore into them. All the dead were al Qaeda fighters, unnamed Yemeni officials claimed. However Jaber’s family refused to allow him to be smeared as a terrorist. For three years they fought in courts in America and Germany for recognition that he was an innocent civilian. In November 2013 they visited Washington and even managed to arrange a meeting in the White House to plead their case. In 2014 the family said it was offered a bag containing $100,000 by a Yemen national security official. The official said it was a US strike and it had been a mistake. By late 2015 the family offered to drop their lawsuits against the US government if the administration would apologise. The Department of Justice refused. In February 2016 the court dismissed the family’s suit but they have not stopped fighting: in April they announced they would appeal. The White House stressed that it was concerned to protect civilians and that best practices were in place to help reduce the likelihood of civilian casualties. The Bureau’s data does show a significant decline in the reports of civilian casualties in recent years. In Pakistan, where the largest number of strikes have occurred, there have been only three reported civilian casualties since the end of 2012. Two of these casualties – Warren Weinstein and Giovanni Lo Porto – were Western hostages held by al Qaeda. The US, unaware they were targeting the American and Italian’s captors, flattened the house they were being held in. The accidental killing of a US citizen spurred Obama to apologise for the strike – the first and only time he had publicly discussed a specific CIA drone strike in Pakistan. With the apology of a “condolence payment to both the families,” National Security Council spokesman Ned Price told the Bureau. However, they have yet to receive any compensation from the US government for their loss. Families who have lost relatives in Pakistan have not reported been compensated for their loss. In Yemen, money has been given to families for their loss but it is not clear whether it actually comes from the US. The money is disbursed by Yemeni government intermediaries, nominally from the Yemeni government’s coffers. Tariq Khan was a 16-year-old from North Waziristan who attended a high-profile anti-drone rally in Islamabad in October 2011. Only days later, he and his cousin were killed in a drone strike. On 27 October, Tariq made the eight-hour drive to Islamabad for a meeting convened by Waziri elders to discuss how to end civilian deaths in drone strikes. The Pakistani politician Imran Khan, his former wife Jemima, members of the legal campaign group Reprieve and several western journalists also attended the meeting. Neil Williams from Reprieve said Tariq seemed very introverted at the meeting. He asked the boy if he had ever seen a drone. Tariq replied he saw 10 or 15 every day. He said they prevented him from sleeping. “He looked absolutely terrified,” Williams said. After a four-hour debate, the audience joined around 2,000 people at a protest rally outside the Pakistani parliament. After the rally, the tribesmen made the long journey home. The day after he got back, Tariq and his cousin Wahid went to pick up his newly married aunt, according a Bureau reporter who met Tariq at the Islamabad meeting. When they were 200 yards from the house two missiles slammed into their car. The blast killed Tariq and Wahid instantly. Some reports suggested Wahid was 12 years old. An anonymous US official acknowledged the CIA had launched the strike but denied they were children. The occupants of that car were militants, he said. Most of the dead from CIA strikes in Pakistan are unnamed Pakistanis and Afghans, according to Naming the Dead – a research project by the Bureau. Over three years the Bureau has painstakingly gathered names of the dead from US drone strikes in Pakistan. The project has recorded just 732 names of people killed since 2004. The project has named 213 civilians killed under Obama. The fact that so many people are unnamed adds to the confusion about who has been killed. A controversial US tactic, signature strikes, demonstrates how identities of the dead, and their status as a combatant or non-combatant, eludes the US. These strikes target people based on so-called pattern of life analysis, built from surveillance and intelligence but not the actual identity of a person. And the CIA’s own records leaked to the news agency McClatchy show the US is sometimes not only ignorant of the identities of people it has killed, but also of the armed groups they belong to. They are merely listed as “other militants” and “foreign fighters” in the leaked records. Follow Jack Serle and Abigail Fielding-Smith on Twitter and sign up for the monthly update from the Bureau’s Covert War project.